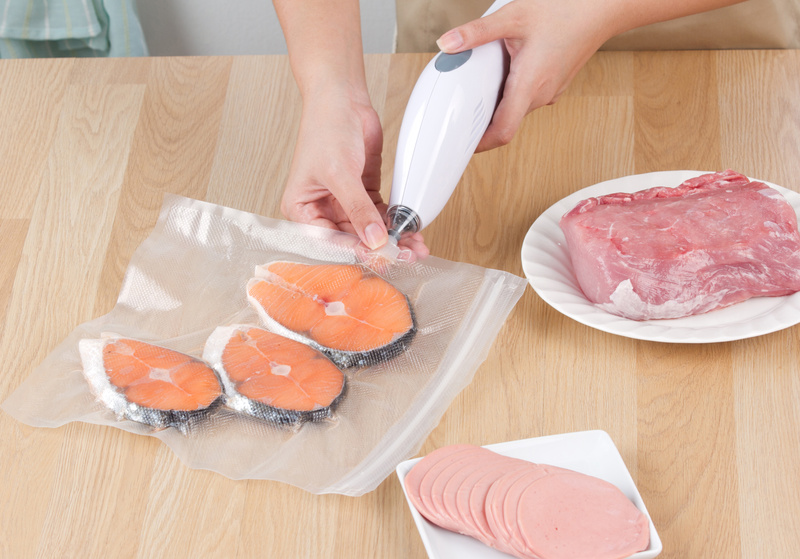 Marinate meats, save space, and plan your meals with your vacuum sealer. The Foodsaver 4840 vs 4880 question is great to ask before purchasing a serious food sealer. Sarah and I have been seriously considering getting a food sealer. With one, we will seriously cut down on our food waste. But it’s not just to prevent food waste. By removing air from the food storage bag, it can also save you space in the freezer. 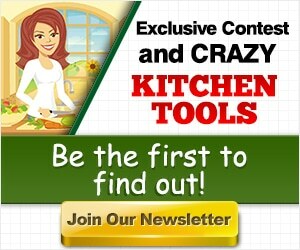 You can use it to marinate meats and store entire meals. I’m particularly interested in it for sous vide cooking. Below you will find all of the details you need in order to choose the best food sealer in the Foodsaver 4840 vs 4880 comparison. Foodsaver v4840 vs v4880: How different are they? Usually when companies introduce a product upgrade it’s accompanied by a substantial price increase. This is commonplace. Still, those upgrades are quite often miniscule, for example, a 5% wider lcd screen on a smart phone. I was quite surprised when doing research for these two, very capable, food savers that there are a couple major feature differences between these two machines. Sorry, but they do. Despite the stainless steel exterior, they aren’t sleek. They are square and clunky looking. And while I think aesthetics are important for kitchen appliances, looks certainly aren’t necessity. Heck, our Vitamix isn’t going to win any beauty awards, but it is a top notch blender. The design is pretty similar on these machines with a few small differences. The Foodsaver v4840 has control buttons on the top. The orientation was changed to the bottom for the 4880. The dimensions for the v4880 are 22 x 10.5 x 9.5 inches. That is slightly larger than the v4840 which has measurements of 11 x 20 x 12 inches. Both will take up a decent chunk of countertop space. Both the v4840 and v4880 come with upgrades over previous iterations, like the fact that they can auto-detect when the bag is inserted in the machine. They can also do the following very neat task. Auto Wet/Dry detection – This new feature means that you’ll never have to worry about using the wrong function. Using the wet setting on dry food can crush the food (depending on what it is). Using the dry setting on wet food will result in too little air being removed. The pulse button gives you complete control over how much air is removed from the bag. Both machines come with 11 bags, but the quantity and type varies. In addition to the bags, the 4880 also comes with a wine stopper and a lunch and leftover container. Many customers point to the obvious benefits of these two machines. A lot of customers say that they are able to easily work with the machine with very few hiccups. But, there are also some customers that voice their frustrations with both models. They complain that the automatic detection is a bit temperamental. It “works when it wants to” they say. I didn’t come across too many complaints that worried me. 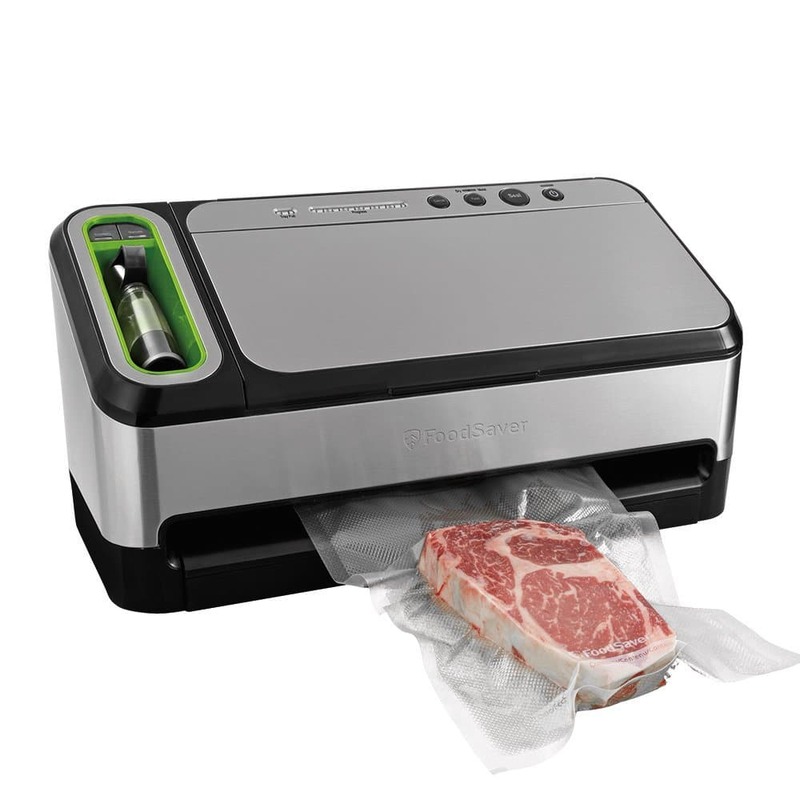 These types of machines (vacuum sealers) seem to have quirks, but I’ve found that the more level headed and unbiased customers pointed to solutions. You may need to do a little wiggling to get the vacuum process started. Always remember that there will be complaints and no product is perfect. The two FoodSavers compared above are very good options. However there are also some other good options listed below that could be better options for your specific needs. Take a look below. 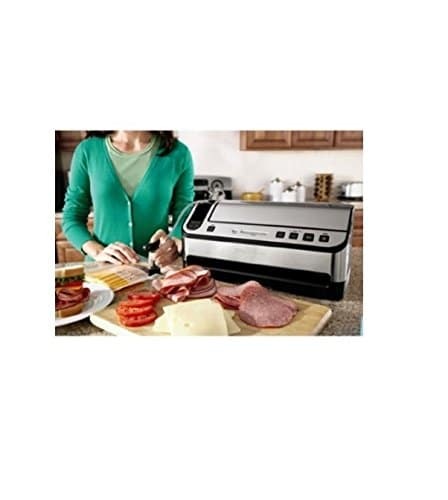 The foodsaver 4825 is another option in the v4800 line of vacuum sealers. The truth is that there are many different options in the 4800 line and it can be very hard to determine the differences between these machines. Sometimes the models do the same thing but there might different, more or fewer accessories. The foodsaver 4825 will automatically start the vacuuming process when you insert a bag. It also comes with a retractable handheld vacuum attachment. It comes with a starter kit that contains with 8 gallon sized zipper bags. Unlike the 4880 it does not have the pulse vac feature. The foodsaver 4865 is another great option. It is also a 2-in-1 machine. I’ve done a lot of research and the v4880 and v4865 are essentially the same. Both have auto wet/dry detection. The only difference is the accessories that they come with. The 4880 comes with a lunch container and wine stopper while the 4865 comes with a expandable bags for example. It’s obvious at first sight that the v4440 is different from the the 4800 series. This model belongs to the v4400 series. While the 4800 models are mostly stainless steel, a good portion of the 4440 is also black plastic. The 4440 is very similar to the 4840 and 4880. The only difference is cosmetic; the arrangement of the buttons is different. The biggest difference between this model and the 4880 and 4840 is the pulse vac feature. The 4880 has the pulse function, the 4440 does not. There aren’t any functional differences that separate these two machines according to FoodSaver. Although you may come across conflicting information that claims that the opposite. Online there was information, from company reps and resellers, that claimed that the 4840 did not possess a pulse button or automatic wet/dry detection. However, after speaking on the phone with a rep for the company, they assured me that the 4880 and 4840 both have that function. Since that is the case, then you have to look at the price, what accessories come in the box, and the reviews to better determine which model you should get. I would recommend going with whichever model is the most economical (and/or includes the accessories that you want at a reasonable price) at the time you go to purchase it. Hi John, I ended going with a model that I found at Costco. It’s similar to the 4880.